Psychologists have a duty to help patients with mental and emotional issues. Because they deal with the human mind, ethics is a concern. How far does one go in treating a person’s condition before crossing the line? What actions are considered going too far? Psychologists should not have a physical or romantic relationship with their patients, no matter their age or whether or not they consent. Pursuing a relationship with a minor is especially unethical and can lead to punishment such as license suspension or revocation. A Florida psychologist is accused of breaking the law after he was accused of sexual misconduct with a minor under age 18. The Florida Department of Health Secretary issued an emergency order that suspends the psychologist’s license in early August after a young girl came forward and accused the Tallahassee man of touching her inappropriately during their therapy sessions. The emergency order is not final. The psychologist can challenge the order and fight to keep his license. The patient saw the psychologist during a one-year period from December 2016 to December 2017. The patient had 50 sessions with the psychologist during that time. The patient, who was neglected and abused by her mother, was being cared for by her grandparents. The patient confided to her grandfather about the psychologist’s inappropriate actions and remarks. He would allegedly give the girl lingering hugs, place his hands on her buttocks, thighs and back, and invite her to his home. The man also gave the girl gifts on her birthday, as well as on Valentine’s Day and Christmas. He also told the girl he loved her. This behavior went on for a year. The girl finally confided with her grandfather when she received a text from the psychologist. The man had asked the girl for a Christmas gift and a selfie. The girl also told her grandfather that the psychologist would ask about her sexual fetishes. The police were informed of the psychologist’s behavior. He was interviewed by police in February. During that interview, he admitted to all the behavior, including the inappropriate touching, texts and gifts. He also admitted to asking the girl to wear certain clothes and that he started with the hugging after their third session. Furthermore, he invited the girl to come to his home for recording sessions and swims. His license is currently suspended and he is not allowed to practice. Psychologists deal with the mental health of patients. Because psychologists help people express their feelings, they tend to have emotional bonds with their patients. This often leads to feelings of physical attraction, which can lead to ethical issues. When a psychologist is accused of an ethical issue, they can lose their license and face other penalties. The Law Offices of David P. Rankin, P.A. 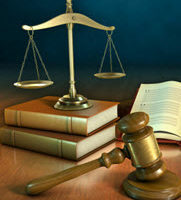 can assess your case and help you achieve a favorable outcome. 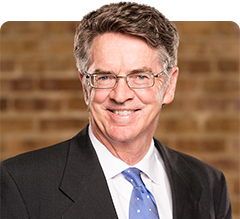 He has several decades of experience representing licensed professionals. Contact his office to schedule a consultation. Call him at (813) 968-6633 or fill out the online form.